Broadcasters in Canada, Latin America and Europe have struck deals totalling 130 hours with sales outfit Twofour Rights. The deals have been completed ahead of Natpe Miami next week and include a 71-hour package of programming acquired by Serdy Media in French Canada, which is adding factual entertainment show The World’s Best Restaurants for its Evasion network and Extreme Cake Makers for Zeste. Extreme Cake Makers has also been picked up by Globosat in Brazil, while RTL in the Netherlands has added shows such as The World’s Most Extraordinary Christmas Dinners and Feeding The Super Rich. AB Groupe France has added shows including Impossible Railways while Canal+ has licensed factual series Born To Kill?. 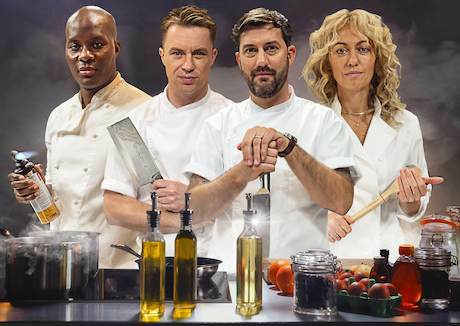 The deals were secured by TwoFour’s VP of sales for EMEA, Latin America & Canada, Eniela Bella, who is representing the company’s latest unscripted catalogue at Natpe in Miami next week, led by new cooking competition format Beat The Chef.